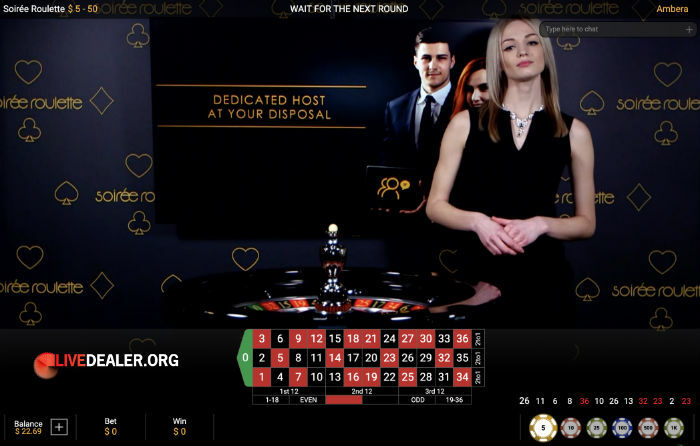 Playtech introduced their first VIP Soirée Blackjack table back in July 2018. There are a few of them now. The original has been since joined by Elite 200 & Elite 500 versions with slightly higher minimums. Then there’s the Playtech Privée tables that have popped up at a limited number of casinos. These are also VIP blackjack tables but with higher limits again than the Soirée tables. Limits on the Soirée tables aren’t exactly astronomical. There are no restrictions on accessibility like Evolution’s Salon Privé tables. Nor does one player at a time exclusivity apply. Soirée is more of a VIP light playing experience. 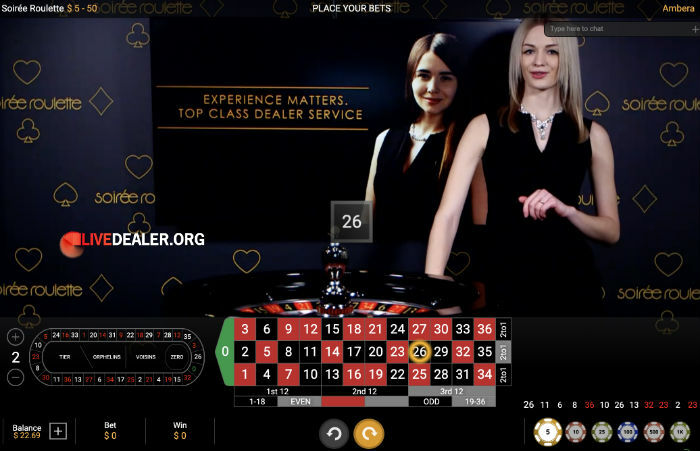 Players can request a dealer change or shoe change (subject to their account balance), making them feel a little more special than the rif-raf on the other blackjack tables. Until now Playtech’s all-access (as apposed to private tables) VIP table selection have been a blackjack only affair. This has now changed with the recent introduction of a Soirée Roulette table. Despite the backdrop claiming an exclusive VIP service, anyone can access this table. Limits are also pretty tame, with a bet of $€£ 5 enough to get you in the game. There is a dedicated host at your disposal. Although he or she is at the disposal of all players at the table, so not sure just how dedicated they will be to your specific requests. But you can always ask. When I asked Ambera what the dedicated host could do for me, she said I could request a dealer change. With no scope for a re-shuffle or shoe change can’t imagine what else you could want. Ball change? Didn’t test the dealer change request. Figured it would be a little rude and Ambera was doing a very nice job, even if my balance was going backwards most of the session. As an all-access table, Soirée Roulette should start popping up at most Playtech live casinos. This game was played at bet365. Now we wait for the likely arrival of Soirée Baccarat. In the meantime, here’s some action on the new Soirée Roulette table.